The words you will surely miss to describe the stay that you will spend in our hut in the trees type “cocoon”. Facing the sea, perched at 4 m height, a spectacular and unforgettable view is offered to you. From your cozy bed or the garden furniture set on the terrace, the splendid sandy beach, the emerald sea, the rocks, everything seems to be waiting for you for this idyllic experience to live in the trees. Facing the sea, perched at 4 m height, the tree house offers a spectacular and unforgettable view. From your bed or the garden set on the terrace, the large beach of Chevrets, and the sunset over the sea, everything seems to be waiting for you for this idyllic experience to live in the trees. A tree house can only accommodate 2 people, it consists of 1 double room and a single bed for a child under 10 years. Consisting of a small terrace overlooking the Chevrets beach where you can enjoy your breakfast included in the rental. 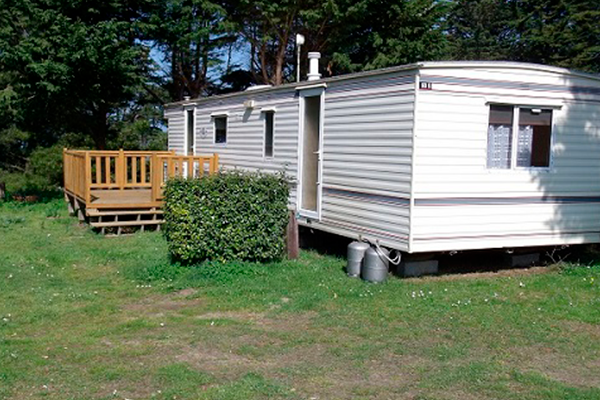 Camping des Chevrets is perfectly located for visiting Saint Malo and its region. Mont Saint Michel, Cancale, the Emerald Coast and its large unspoilt beaches. 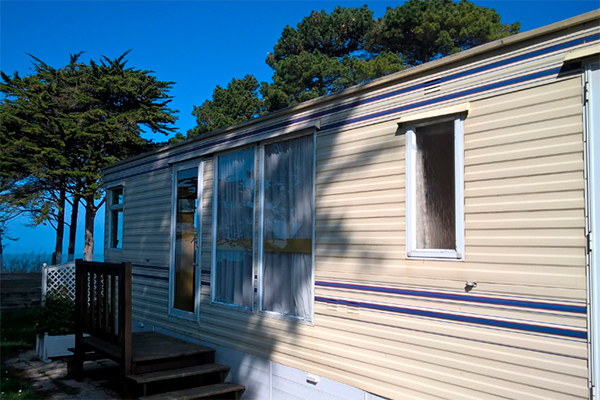 Located on the edge of the beach, just above Chevrets beach, surrounded by the tip of Meinga and Le Havre de Rotheneuf. Welcome to Camping des Chevrets!